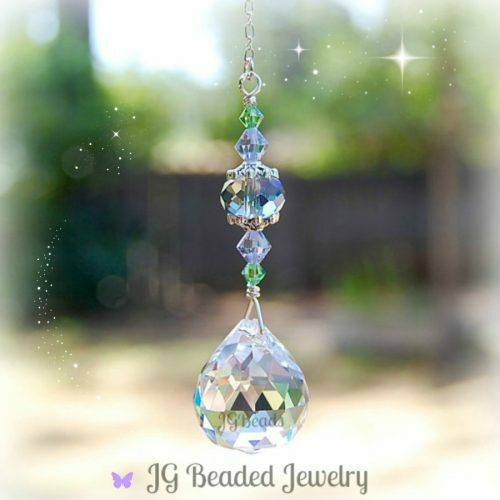 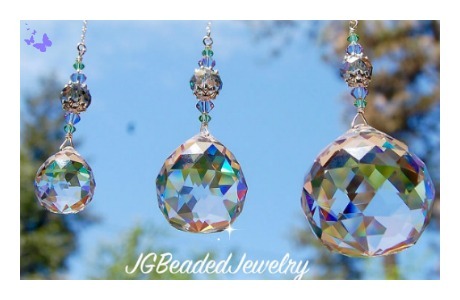 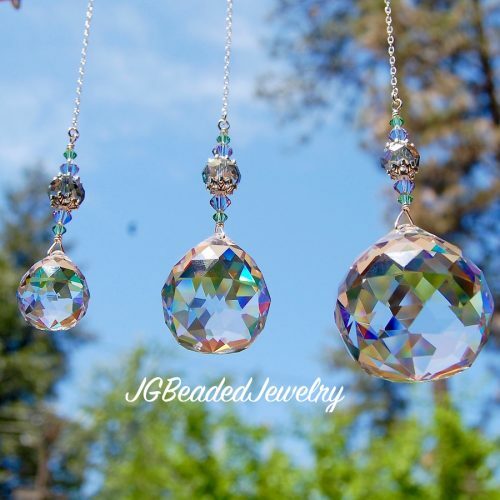 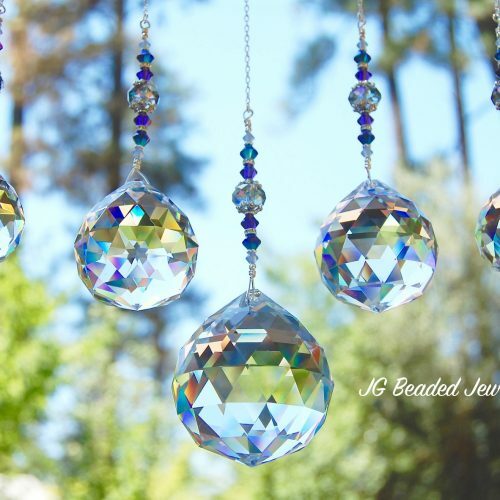 Gorgeous Colorado Topaz Swarovski Crystals Accent This Suncatcher! 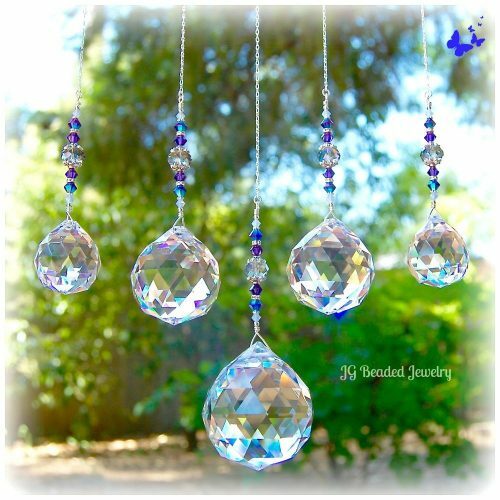 Large crystal suncatcher to brighten up any window! 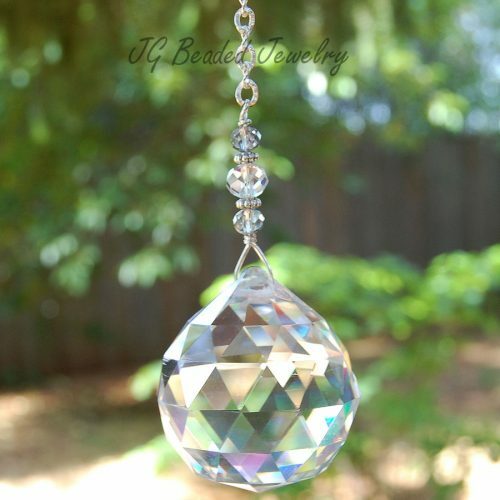 Hanging prism crystal with light blue crystal in the middle. 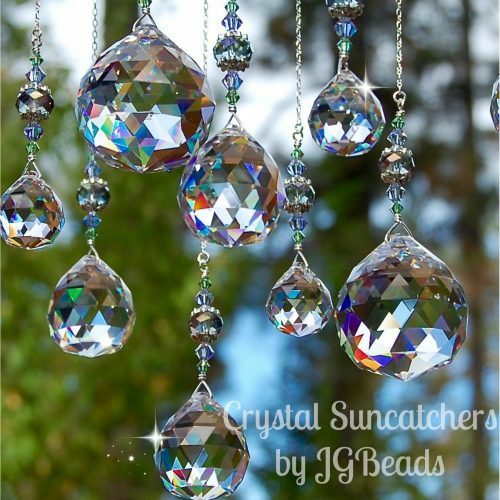 Rainbow crystal suncatcher! 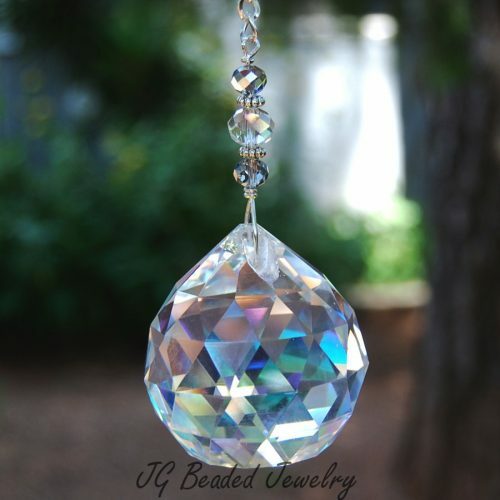 40mm not recommended for rearview!